The vast majority of trekkers, having experienced Kilimanjaro or Everest Base Camp, are keen to repeat the experience. The incredible views, completing a tough challenge, the hospitality of the local people and the tantalising glimpse into another culture have been too satisfying and enjoyable to savour only once. The question of “what next” quickly pops into everyone’s mind. The answer to this question is rather easy if you want to experience (again) these life-enhancing elements. Introducing Stok Kangri, in the Ladakh region of Northern India this mountain is where the Himalaya meets the Karakoram, Buddhism meets Islam and colourful culture meets the starkness of the desert. 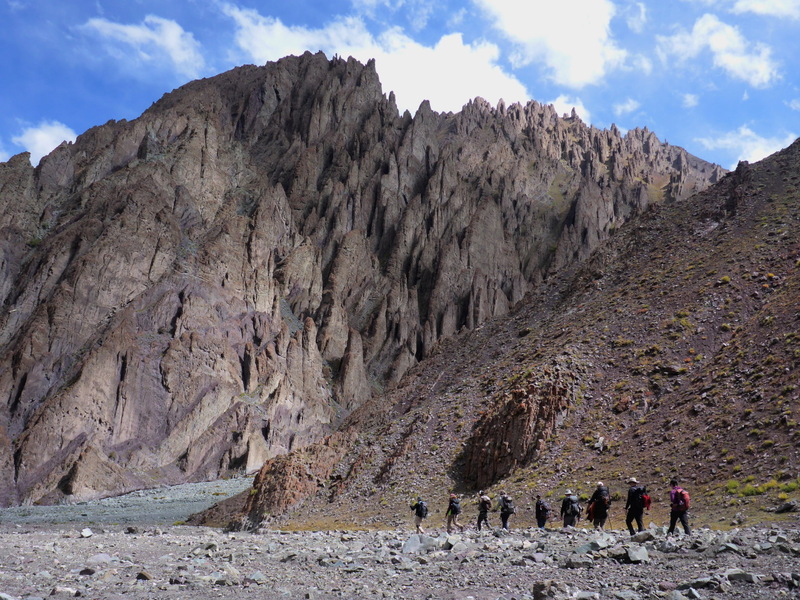 Stok Kangri is an accessible 6,000m mountain, that is perfect either as your very first adventure or as your “what’s next” and being only 14 days UK – UK with a price tag less than Kili its one that should be on your radar with the added bonus that we trek at a time that will offer you trekking in shorts and t-shirts right up till high camp. This place has it all. A place of incredible diversity and contrasts. A more appealing and adventurous place would be hard to imagine. At 360 Expeditions we have our own unique stamp on this remarkable adventure. Not satisfied by just providing you with an amazing experience we want to give you an experience that will change your life. Here is how we do it. We don’t just take you trekking: although this is undoubtedly a highlight, like Alice we literally tumble into wonderland, we enrich your experience of Ladakh by timing two of our expeditions to coincide with some of the planets most colourful and religiously significant festivals. You will literally walk off the mountain straight into the array of rumbling horns, swirling masked street dancers, magical colourful and vibrant. 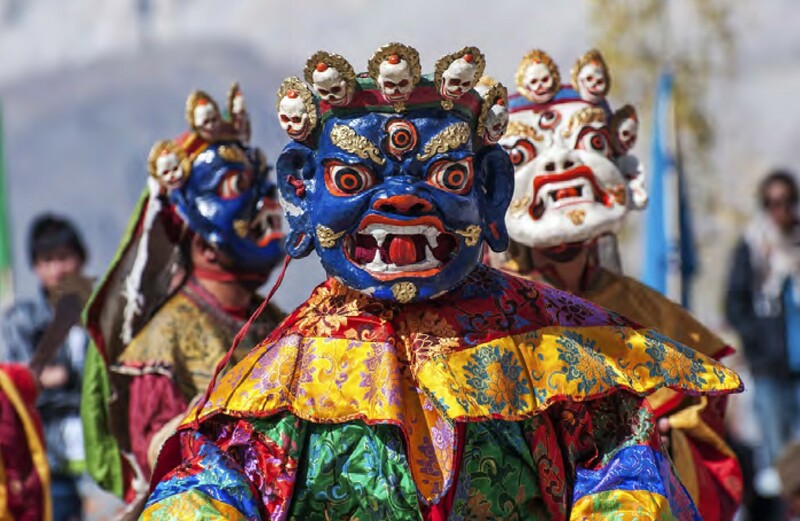 The Leh festival captured in photgraphs often grace the pages of the National Geographic. To truly savour the uniqueness of this incredible region we avoid the crowds. There is the normal way to climb Stok Kangri. But why be normal and follow the herd when the great unknown beckons nearby? We take you right inside the heart of the region, meet locals still practicing ancient traditions and cross passes only used by local pilgrims and traders. You will get to know Ladakh for what it really is. You will be accompanied by a hugely inspirational western leader and local crew. Our team leaders have vast experience of the Himalaya, its people and its culture and this place has had a huge impact on their lives. Want to hear outrageous adventure stories from someone who has climbed Mount Everest then look no further. Equally our local crew are the real deal. A majority are of Tibetan origin and open up the world of humbleness, inspiration and incredible hospitality to you. They are proud to let you into their lives. Plus, our mule-team and kitchen crew can famously crack a smile out of a stone with their continuous antics and games. Just meeting this bunch is for many reason enough to come back again. We understand that you might be hesitant about committing to an expedition to 6,000 meters. So, we take the edge off and make the experience as seamless as possible for you. 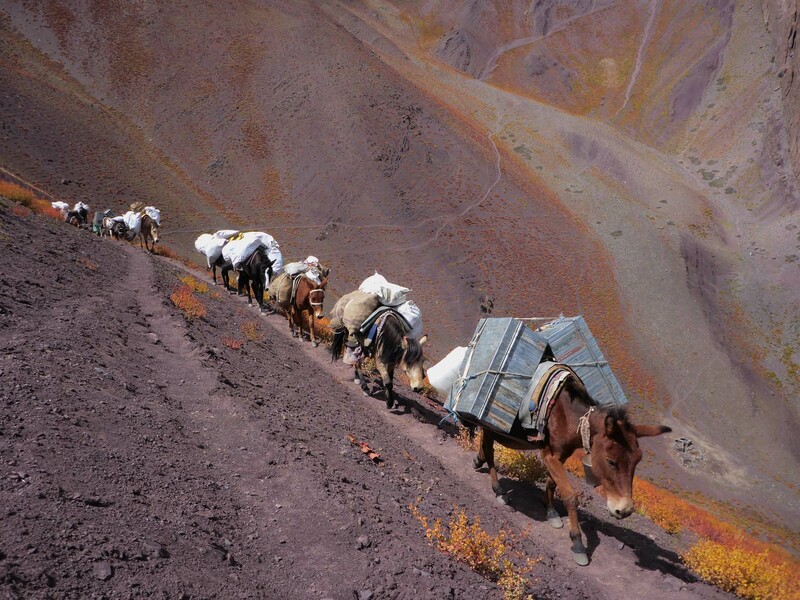 To begin with we only run our expeditions to Stok Kangri in Autumn. There will be little or no snow on the mountain at this time of the year so you don’t need to pack all those technical bits and bobs you would need for a mountain of similar size. And even if the unexpected happened and we find that there has been snow then we will provide any specialist climbing boots and crampons you might need. All you need to do is bring those boots you wore on Kilimanjaro. Naturally we provide you with the service and facilities for which we have become renowned. This might not be a 6-week expedition to an 8,000m giant but we don’t skimp on quality. Only the nicest accommodation, greatest tasting food, most convenient flights and seamless expedition services will be provided for you. The only thing you need to do is to simply have an unimaginably great time! ”360 did everything right! Before we left: Helen and Marni were always there with proactive information and all the details we needed. They ensured the wider team were connected with each other before we left. Something previous companies I’ve trekked with have never done. On the mountain: the one and only Rolfe set the vibe for the whole trip. He was backed up excellently by Karma and his team of helpers who looked after us brilliantly. People could get on at their own pace, always with support in the background. You were encouraged to get out of your comfort zone and truly experience the place around you. You are now informed on climbing Stok Kangri with 360. 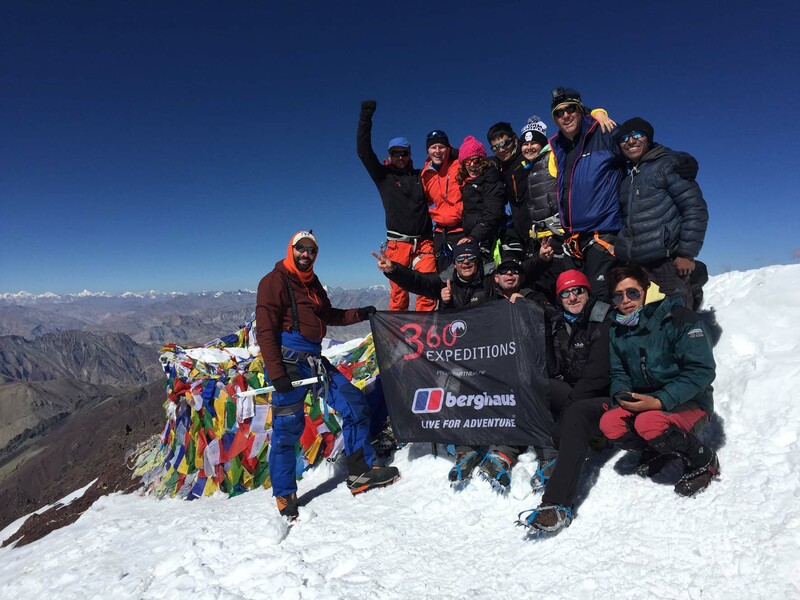 And if you are ready to jump in with two feet click here to find out the details on our Aconcagua expedition.